Burwood Shutters specialises in shopfront and domestic roller shutters. Our sophisticated range of roller shutters can easily enhance the beauty, value and security of your home or business. Our shutters are designed and manufactured in Australia using only high quality components for maximum strength and durability to suit Australian conditions. They are designed to fit neatly and elegantly outside most types of windows and doors. More and more homeowners and businesses are discovering the benefits of Burwood Shutters great range of roller shutters. 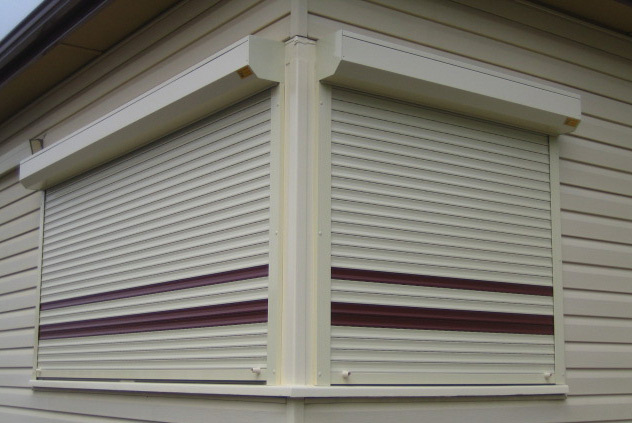 An automatic locking system with strong interlocking slats ensures that our shutters cannot be forced open. It offers a visible deterrent to intruders and vandals. All types of noise can be reduced by up to 50%. Noise from traffic, aircraft, lawnmowers, neighbours and barking dogs can all be significantly reduced. Easily control your desired light levels. Whether it be almost total darkness, unrestricted light or softly filtered light, the choice is yours. Reduce up to 70% of the heat loss through your windows, effectively keeping the cold out and the warmth in. This significantly reduces your winter heating cost. Reduce up to 90% of the heat gain through your windows, effectively keeping the heat out and saving significantly on cooling cost during Australia's hot summer. Considerably reduce the risk of radiant heat and flames shattering your glass and spreading into your building. Protection against flying debris, wind pressure and hail shattering your glass and causing serious water damage. 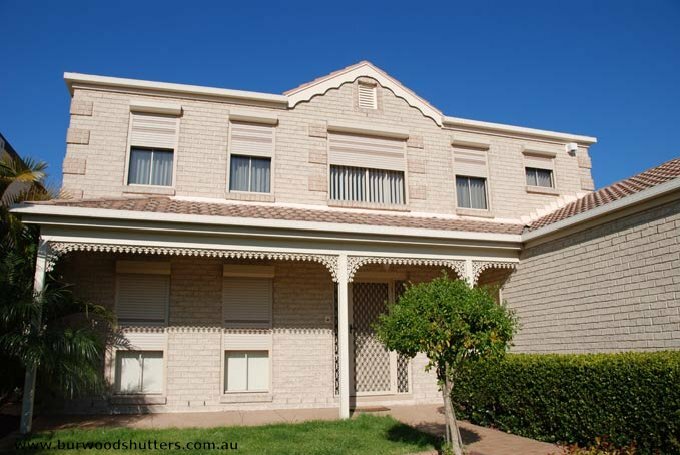 Burwood Shutters offers you a simple choice of operating systems to suit all situations. You can choose from a manual, electric or remote control operating method. Our remote controls feature an advance hopping code technology for your security. The slats are available in both roll formed aluminium and extruded aluminium. Perforations along the top of each slat allow for light and ventilation control. These perforations are optional. With a variety of colours and styles to choose from, you are sure to find one that suits your needs. These slats are made from heavy duty aluminium which has been roll formed and injected with an insulation foam to provide added strength and insulation. Suitable for most homes. These slats are made from heavy duty extruded aluminium for added strength and security. Recommended for shopfront shutters and also suitable for homes where extra security is needed. Burwood Shutters great range of roller shutters are basically maintenance free. A simple hose down is all that is required to clean them.